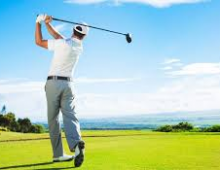 Medial Epicondylitis: Commonly referred to as Golfer’s Elbow, it’s a type of tendinitis that produces pain in the inside portion of an individual’s elbow. Typically an individual will experience this condition on their back hand, and may be due to difficulty with positioning during the backswing, or decelerating their swing during follow through. 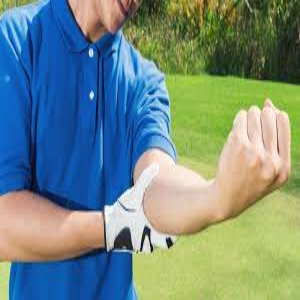 Lateral Epicondylitis: This is noted as the most common golf-related injury for amateur golfers and is commonly referred to as Tennis Elbow. This condition is a type of tendinitis that produces pain on the outside portion of an individual’s elbow, and typically affects the lead arm. This injury may be due to difficulty transferring force from the trunk to the club during the downswing, or attempting to produce too much force from arms alone. 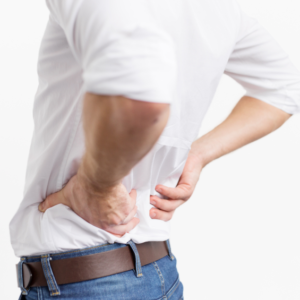 Back Strain: Typically associated with the lower back, however, can affect any portion of the spine, this is a condition in which the muscles surrounding the spinal area either get overworked or overstretched causing irritation. This condition is noted as the most common injury associated with professional golfers, and may be due to decreased trunk mobility, decreased core stability, or difficulty decelerating during follow through. 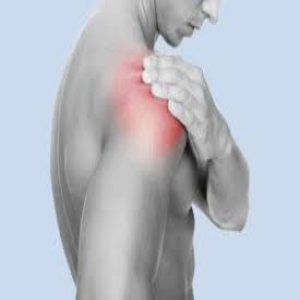 Rotator Cuff Injury: This condition refers to several possible injuries in which the rotator cuff muscles of the shoulder either become strained and inflamed or tear due to being overworked. This condition typically affects the lead arm of an individual and may be due to decreased mobility during the backswing, difficulty transferring force from the trunk to the club during the downswing, or difficulty decelerating during follow through. 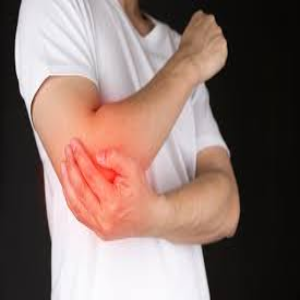 Wrist Strain: This condition typically affects an individual’s lead arm, and is an injury to the muscles that surround the wrist and forearm due to being overstretched or overworked. This condition may be due to decreased mobility in the wrist during the backswing, or difficulty decelerating during follow through. Being prepared for physical activity is always the best line of defense in order to help reduce your risk for injury, and beginning in April of this year, Harrison Fitness and Wellness will be offering athletic screening services in order to help expose weaknesses and inefficiencies that may predispose an individual for injuries. The screening will cover areas such as posture, balance, strength, flexibility, and movement patterns in order to collect the most comprehensive picture of an individual’s readiness for athletic activities. Call to schedule your appointment today, spots will be limited and reserved on a first come, first serve basis. Thanks for reading from all of us here at Harrison Physical Therapy.